Our Kids’ Parties are different! Kids’ learn to love and respect the underwater world in a safe and professionally supervised environment. 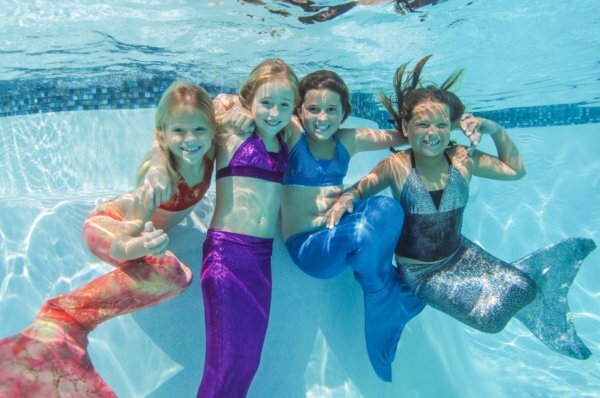 They learn to swim like a fish, duck dive, enter the water, clear a snorkel and have loads of fun blowing bubbles and playing underwater games.  The parties are conducted by qualified diving professionals in adherence to international safety standards. You are welcome to set up your own cake and party eats on our wooden deck surrounding the pool area. Alternatively, we can arrange Party Packs, birthday cakes, watermelon (in season) and savoury platters for the adults, for those busy moms and dads. We also offer the service of taking underwater photographs to capture this exciting introduction to the underwater world. 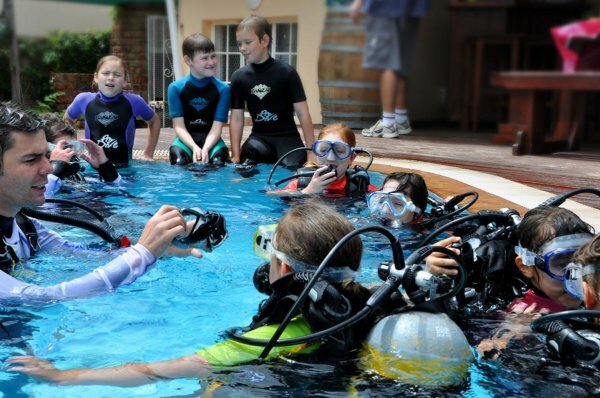 The Scuba Party is loads of fun for children older than 8 year of age and can be scheduled either during the week or on a Saturday. This 2 hour experience caters for small groups of kids (min 6/max 12) and they all get the opportunity to blow bubbles in our private, heated swimming pool. We use miniature Scuba kit for the kids which has been designed for increased comfort and enjoyment. If they have their own masks, snorkels & fins they are welcome to bring them along. 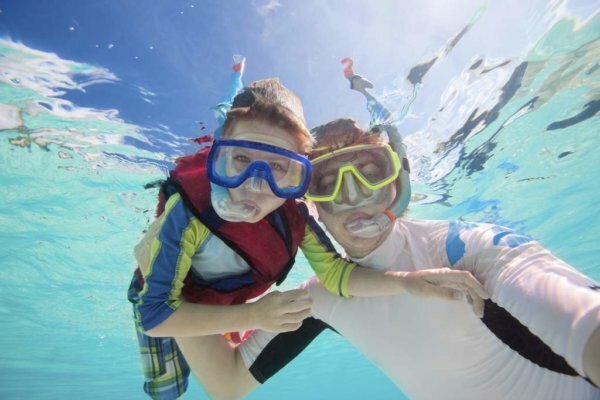 The Snorkel Party is loads of fun for children younger than 8 years old and can be scheduled either during the week or on a Saturday. They will learn techniques to clear water from snorkel, surface swimming & how to effortless duck dive while playing games. This 2 hour experience caters for small groups of kids (min 6/max 12). We use miniature masks, fins & snorkels which have been designed for increased comfort and enjoyment. If they have their own, they are welcome to bring them along. Book our venue for a summer pool party. Our diving pool is a safe and ideal setting where children can enjoy the pool while adults relax and enjoy the lush setting. This 2 hour experience caters for small groups of kids (max 12).